Niaouli Oil is steam distilled from the leaves and twigs of an evergreen tree native to Australia. This oil is considered an analgesic, antiseptic, bactericide, cicatrisant, insecticide, decongestant and vermifuge. Its aroma is stimulating and uplifting; it clears the head and may aid in concentration. This oil is considered as an excellent antiseptic for treating pulmonary infections such as bronchitis and sinusitis. 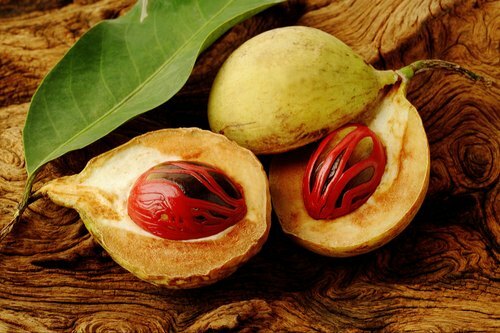 Nutmeg Oil is obtained by steam distillation of seed of Myristica fragrance. This oil is used as a food flavour, as a carminative and in aromatherapy. The health benefits of nutmeg oil include its ability to treat stress, pain, heart disorders, indigestion, blood pressure, cough and bad breadth. This oil have some medicinal properties such as sedative, stimulant, relaxing, anti inflammatory, antiseptic, bactericide, etc. This oil is colorless or light yellow and smells and tastes of nutmeg. It blends well with thyme or rosemary oils. It contains borneol and eugenol. It also has a presence of myristicin, responsible for hallucinations when over dosing occurs. This warming spicy essential oil is used in aromatherapy to fight inflammations and muscle as well as rheumatic pain. Nutmeg oil is sharp, spicy and rather musky in aroma.  It is used in soap, candle making, dental products and hair lotions. This oil stimulates the heart and circulation, activates the mind. This oil is considered non-toxic, non-irritant and non-sensitizing. This is a sharp-odored yellow liquid; derived from the bulb of the onion Allium cepa. The oil is obtained through steam distillation process. This oil is soluble in ether, chloroform, and carbon disulfude. This oil is used in flavorings. It is rich in Vitamin C, flavonoids and volatile oil. It is appetite suppressant, metabolism and energy booster. This is used to relive headache and also used in constipation, dyspepsia and indigestion. It purifies blood and improves immunity. This oil is in demand for flavoring candy, ice cream, baked goods, gelatins and puddings, chewing gum, soft drinks, liqueurs and pharmaceutical products. Sweet Orange Essential Oil, Citrus sinensis, is an uplifting, refreshing oil that relieves stress and anxiety. Sweet orange oil is a welcome addition to room fragrances. Organic Sweet Orange Essential Oil helps to sooth headaches and reduce fever. Sweet Orange Essential Oil blends nicely with many other oils. Orange oil can be an effective grease cutter, and is gaining popularity within household cleaners. This oil is a pure & natural cold pressed oil. Sweet Orange Pure Essential Oil promotes relaxation and concentration, making it perfect for baths and diffusion. Sweet orange's gentle, clarifying nature cheers the heart and brightens the mood. This oil is obtained by cold pressing process. Sweet orange is a fun oil, especially liked by kids because of its sweet, recognizable fragrance. This oil is used for dull and oily complexions as well as mouth ulcers. It is also used for obesity and water retention as well as bronchitis and chills. It has been of help in constipation, colds, flu, nervous tension and stress related conditions. This oil has many medicinal uses. It is used in massage to warm the skin and muscles making it useful for muscle pain and stiffness. It is good for pre sports rubs. It is useful for respiratory tract ailments if the vapours are inhaled and eases breathing in colds & flu. 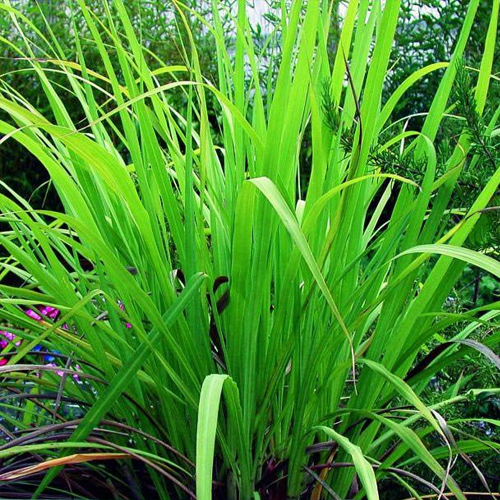 Palmarosa Oil is obtained by the process of steam distillation. This is a very nice oil with a fine aroma. 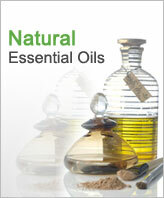 It is excellent for all aromatherapy and skin care uses. The oils anti-bacterial, anti-fungal, and anti-viral properties make it indicated for a wide variety of skin infections, including acne, boils, shingles, and mycosis. Parsley oil has antimicrobial, antifungal, antiviral, radioprotective, antispasmodic, anti-anxiety, and cholesterol-lowering properties. This oil is used in cooking and medicines. This oil is used to control high blood pressure.